Car insurance can be costly, even for good drivers. However, new technology can help you lower your car insurance. Having the following 3 tech tools installed in your car can help you lower your overall car insurance bill. This handy new technology will not only help lower your car insurance bill, but keep you safe as well. Electronic Stability Control, also known as ESC, will take over the steering of your car if it senses that you have lost control. The reason why having ESC installed on your car will help lower your car insurance is because it has been proven in numerous tests that it will actually reduce the number of crashes and injuries. This can save car insurance companies a lot of money in claims as well as saving you significantly in your car insurance rates. This device is so effective that the Insurance Institute for Highway Safety stated that the ESC is now required to be placed in every new vehicle made from 2012 and beyond. If you are a relatively good driver then a data tracking device may be the perfect way for you to lower your car insurance premiums. These devices record your driving habits including how quickly the driver speeds up and slows down as well as how many miles they drive each day. 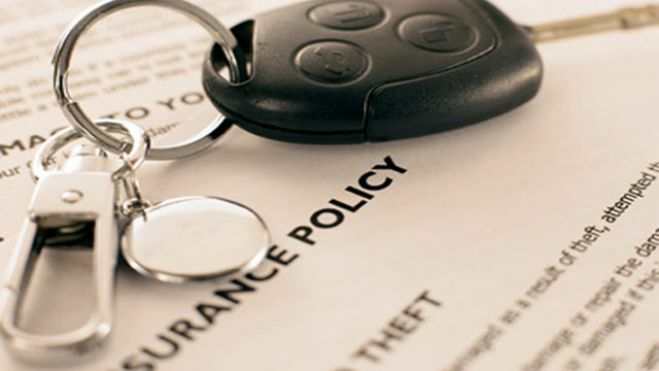 Very safe drivers can earn a savings of up to 30% on their car insurance premium. This device can also help the driver determine if they really are as safe as a driver as they think. If they aren't, they can use the information that is attained to improve their driving skills and hopefully lower their car insurance rates in the future. Anti-theft devices aren't new to the insurance world. There are many different types including anything from standard car alarms to a device that is placed on the steering wheel to keep the wheel locked into place. However, new anti-theft devices cut off fuel or electricity to the car if they detect that someone is tampering with it. Some of these vehicles also have a built-in GPS tracking system so that if the other anti-theft devices fail, the vehicle can be tracked and recovered. Insurers who have this tech tool in their vehicle will generally receive a hefty insurance discount. This is because the harder a vehicle is to steal, the lower the likelihood is of the car insurance company having to replace the vehicle if it is stolen. Many new cars come equipped with these types of anti-theft devices. 1. Consider getting a vehicle with Electronic Stability Control. Not only will you receive a car insurance discount, but it can help you avoid injury if you lose control of your car. 2. Let your insurance company install a data tracking device in your car to determine if your driving habits are worthy of a car insurance discount. 3. Have an anti-theft device installed to not only save money on your car insurance, but to keep your vehicle from being stolen. Andrew Macneil has worked in the auto insurance industry for many years. His articles which offer tips and advice feature on a variety of blogs online. Visit www.insurancecheap.com for more information.